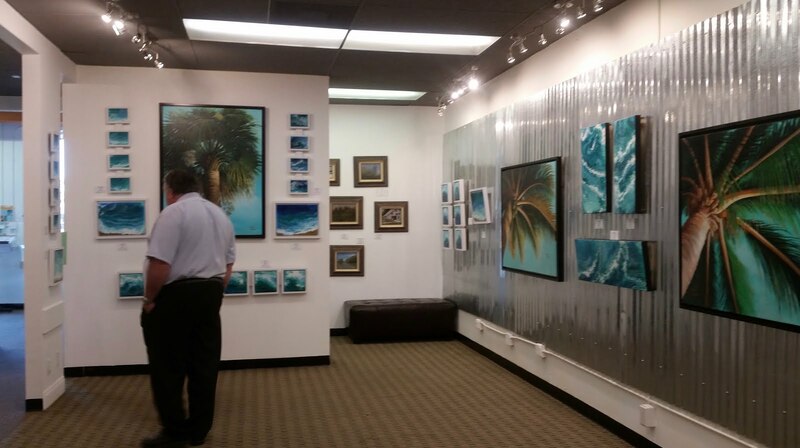 I told you I would post a follow up on my art show for the month of March. 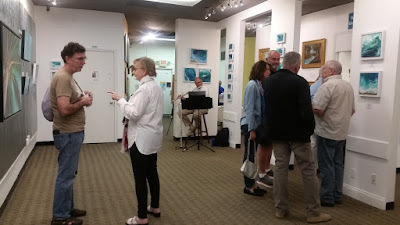 On March 2nd, there was a reception with snacks and music. A nice crowd came to see the artwork and visit with the different artists whose work was on display. I had the large room and enjoyed meeting and speaking with many new people. 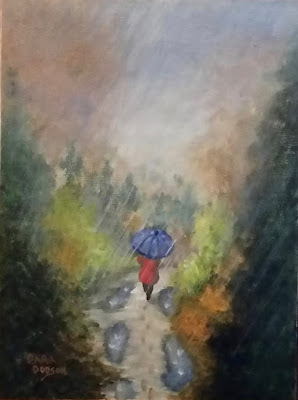 There were lots of questions about how I "paint" these new fluid acrylics and how I "came up" with this new method. There were several that showed serious interest in my work, of course, most do not make a large purchase on the first visit. 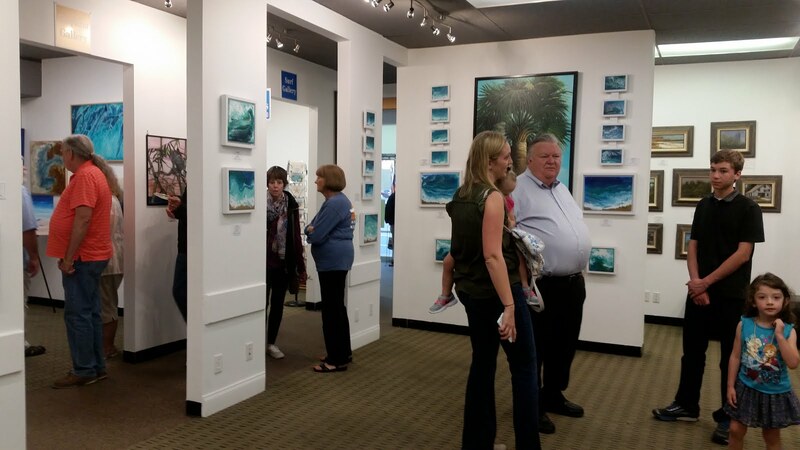 It may take two or even three visits for the actual purchase of a painting, especially if it is a larger one. I managed to get a few pictures during the reception and here they are for you to see. I was not able to get them during the peak time as we were too busy, so it's not too crowded in these photos. But at least you can see some of the artwork, a few of the visitors, and the musician. A good time was had by all. Also, on another note, we finished another session of BEGINNER/INTERMEDIATE ACRYLICS through our county's community education. It was a slightly smaller class this time of only eight. I like that as I am able to give more personal time to each student. The last class was 12-14. I am now getting repeat students which makes me feel good as I see them making progress in their art ability! 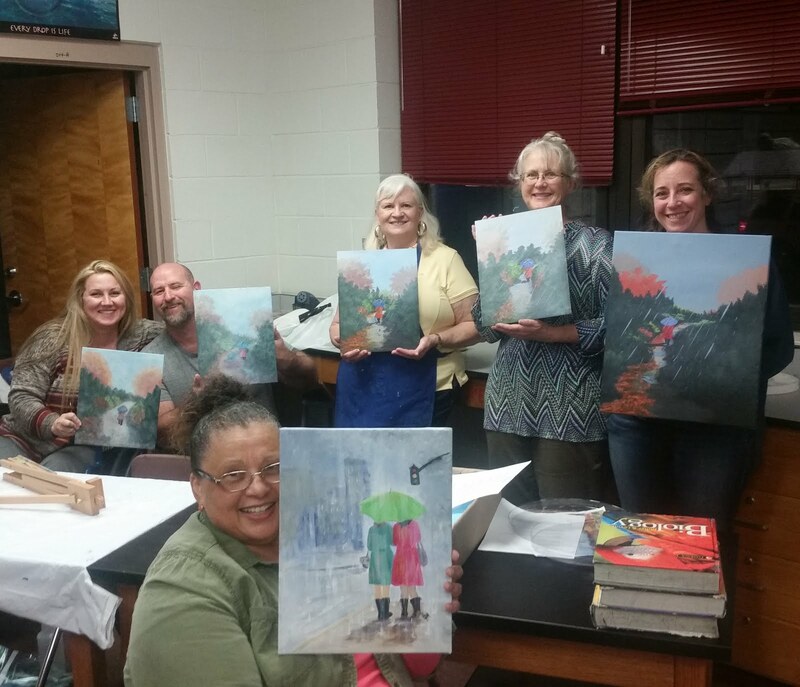 Below is a photo of our last class and their paintings. Sadly some had already left before we took the shot. I'll try to catch everyone next time. 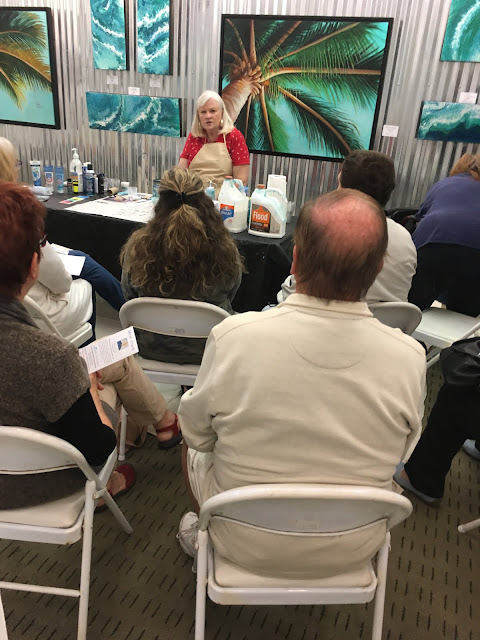 On March 10th, I demonstrated how to do acrylic pouring to a nice sized group at the gallery. It was a lot of fun! Look for my blog on that topic.